Light of the World is an NGO, which aims to demonstrate the love of Jesus to people who live in Estonia. Light of the world is engaged in children’s camps, courses, family and church planting. Michael Smith became a Christian at an early age while visiting a Baptist church in Indiana, USA. Later in 1983, while serving in the United State Marine Corps, his future wife, Penny, visited him and became a Christian too. They were married in 1984 and moved to their present home of record in Vista, California. From 1994-2003 the Smith family served as missionaries in Far-East Russia. They first served in Petropavlovsk, Kamchatka Russia from 1996-1997. Then the visa office refused to issue them visas to continue living in Kamchatka, so in February, 1998, they moved to Sokol, Russia, in the Magadan Region. God gloriously allowed them to start a church in this area even working with some former prisoners of the GULAGs. They founded Sokol Bible Baptist Church which has enjoyed attendances over 100. In 2000, their services were interrupted when police and immigration officials kicked in the door of the church, barging in with video cameras and weapons. Michael was investigated by the regional prosecutor and found not guilty of any crime. However, the mayor of Sokol accused Michael of a visa violation for preaching the Gospel. Consequently, he was finger-printed and expelled from the country, leaving the family behind. Nevertheless, through the intervention of close friends and converts, he was allowed to return to continue the work for another three years. In the summer of 2003, the Smiths were informed by the FSB that they could no longer obtain visas to live and serve in Russia. When their visas expired, they had to leave Russia. Following a survey trip to many countries, God led them to Estonia; primarily due to the large population of Russians living here. They have been serving in Tallinn, Estonia since 2005 and have started Maailmavalgus ministries. 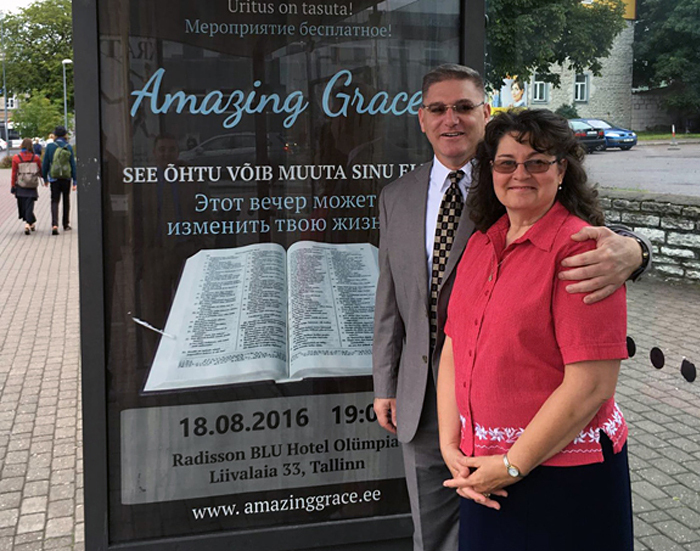 One of their desires is to establish a church and training ground in Estonia to send missionary church planters back into the fields of Russia.